Movie review of “Life, Animated”: An autistic young man makes sense of the world through the lens of Disney films. Rating: 3½ out of 4 stars. 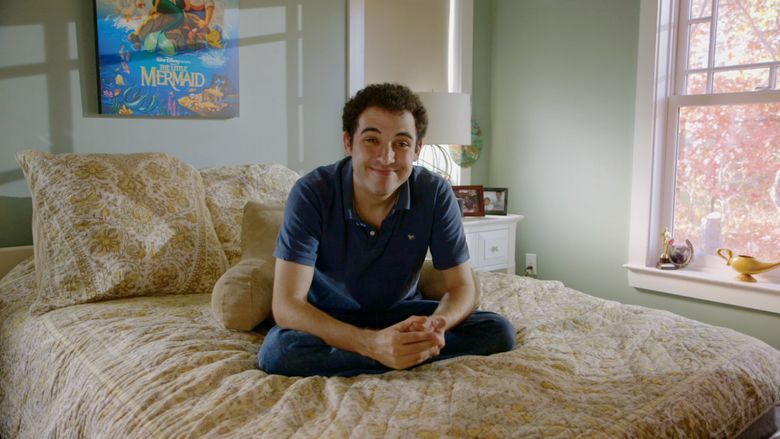 Roger Ross Williams’ gentle, uplifting documentary “Life, Animated” is about storytelling: specifically, Disney-movie storytelling, and how it helped an autistic young man make sense of the world. Owen Suskind, at the age of 3, stopped speaking one day. It was, his parents said, as if their son had vanished, “like we were looking for clues to a kidnapping.” For years, he was silent, or spoke only gibberish — until, after his older brother’s 9th birthday party, Owen coolly observed that Walter didn’t want to grow up, “like Peter Pan.” Obsessed with Disney movies, which he watched over and over, Owen was trying to make the world fit into a movie script. In a world that swirled around him alarmingly, the Disney films and characters were something to hold onto, something that would never change. The film documents Owen’s journey from nonverbal child to articulate, thoughtful adult. It’s not a fairy tale — Owen, who now resides in an assisted-living community, will likely never be truly independent — but a vivid and warmhearted portrait of coming-of-age, differently. Williams deftly blends animation with real life, just as it mixes in Owen’s world; we see Owen’s dreams, his sidekicks, his heroes (both animated and human; most notably, his remarkable parents and brother). By the end, as a confident Owen tells an autism-conference audience that he is “ready to meet a future that is bright and filled with wonder,” “Life, Animated” — just like the best Disney films — leaves its viewer with hopeful joy.